Joanne Yon, 80, of Fountain Hills, AZ, passed away peacefully on April 4, 2019, with her family by her side. Joanne was born on Dec. 8, 1938, in Mohall, ND to Lyell and Doris Miller. She was the oldest of three children. She graduated from Cavalier High School in 1956 where she was involved in drama, band, and was known to tap dance at half-time during basketball games. She attended college at Mayville State and the University of North Dakota, earning her degree in Education. Joanne married the love of her life, Chester, in 1959, and they shared 60 beautiful years of marriage. They were blessed with three children—Pam, Penny, and Bill. Chester and Joanne raised their family in Roseau, MN, where they lived for 25 years. They moved to Fountain Hills, AZ, in 1987. Joanne accepted Jesus Christ as her Lord and Savior early in her life, and always trusted in His faithfulness, guidance, and love. She was a wonderful homemaker and an amazing cook. 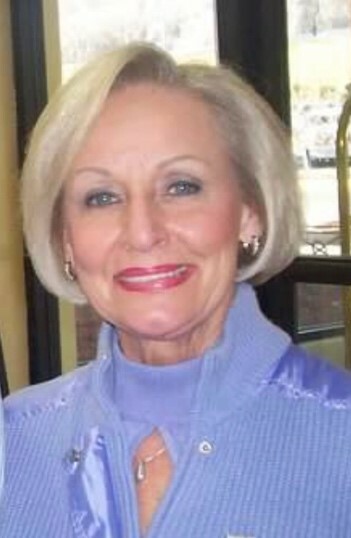 She was a great encourager and cherished her relationships with friends and family. Always elegant, she was as beautiful inside as out, and will be deeply missed by her husband Chester of Fountain Hills, AZ; daughters Pam Galloway of Grand Forks, ND and Penny (Bob) Nemgar of Bemidji, MN; son Bill (Tami) Yon of Roseau, MN; her beloved grandchildren: Michael, Mary Claire, Will, Rachel, Noah, Jesse, Sarah, Zach, and Jenna; 4 great-grandchildren; brothers Perry (Lois) Miller and Rick (Adrianna) Miller; and several nieces and nephews. A celebration of Joanne and a life well-lived will be held this summer in Bemidji, MN.